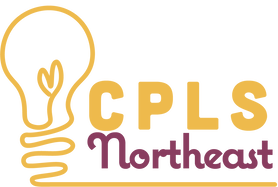 The Northern New Jersey Community Foundation (NNJCF) returns for a third year as a sponsor at The Northeastern Corridor Creative Placemaking Leadership Summit. The NNJCF, a leader in creative placemaking in the region, is a nonprofit based in Hackensack, New Jersey. This year’s event, Playing Fair: Cultural Design, Sports, and Gentrification, is produced by The National Consortium for Creative Placemaking. The Summit takes place on May 3 and 4, 2018 at Drew University in Madison, New Jersey. Creative placemaking integrates arts and culture into the fabric of a region, town, or city block. “As an advocate and practitioner of creative placemaking in Northern New Jersey, the Northern New Jersey Community Foundation supports this Summit. We are a sponsor and reinforce the Summit’s work and message. Creative placemaking represents a win-win opportunity for any municipality interested in improving quality-of-life and boosting economic vitality in the community,” said Danielle De Laurentis, Associate Director, NNJCF. The Summit brings together hundreds of creative placemakers from various fields. Public officials, developers, funders, urban planners, and cultural organization leaders come together. During this gathering, they learn and gain insights from others and share their interests in connecting public policy and the arts. The 2018 program focuses on some of these key issues: sports and their role in arts development, making space for creativity and design funding. Other topics are: introducing creative placemaking to communities, gentrification and the ethical ambiguity of creative placemaking, and physical design. For further information, visit the Summit’s web site. Previously, the Northern New Jersey Community Foundation presented ‘The Smart Person’s Guide to Creative Placemaking’ at a Summit. The NNJCF is an active proponent of this tool in several forums throughout Bergen County. The NNJCF’s initiative, ArtsBergen, holds its quarterly networking event, Connect the Dots. This event attracts artists, arts administrators, and municipal and community leaders. Also, business owners and arts supporters living or working in Bergen County, who are interested in cultivating connections, attend. Through Connect the Dots, ArtsBergen’s goal is to build a unified local arts community. Furthermore, the event encourages collaborations between artists and arts organizations to develop community-based arts projects in the area. Since 2014, the Northern NJ Community Foundation’s ArtsBergen initiative has been an ongoing partner with the City of Hackensack and the Hackensack Main Street Alliance. 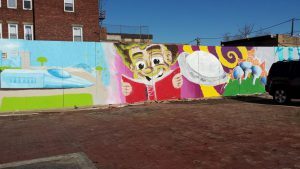 Furthermore, NNJCF assists in using creative placemaking to integrate arts and culture into the Main Street redevelopment plan. Partnering with the National Consortium for Creative Placemaking of Union, New Jersey, ArtsBergen assisted the Hackensack Creative Arts Team (CAT), a group of local stakeholders in developing a creative placemaking vision plan for the city. This is a portion of the Main Street Mural, an example of creative placemaking. To achieve the plan’s goals, NNJCF’s ArtsBergen works extensively with CAT on many projects. These efforts include the downtown public art project, the Main Gateway Mural. Notably, this is a 140 foot mural beautifying a burnt down building. Also, NNJCF’s ArtsBergen assists with ‘Art on a Stick: Raccoons’. This is series of anthropomorphic raccoons bringing the ordinary to life at the Johnson Public Library. In addition, ArtsBergen managed a call for artists for the ‘Utility ARTBox Project’. This is a street art project presenting anti-littering messages via art on utility boxes along Main Street and beyond. “ArtsBergen is invested in helping Hackensack’s downtown become a cultural and economic center. This includes being walkable, livable, and sustainable. The Northern NJ Community Foundation envisions Hackensack as a model of creative placemaking in Bergen County,” said De Laurentis.